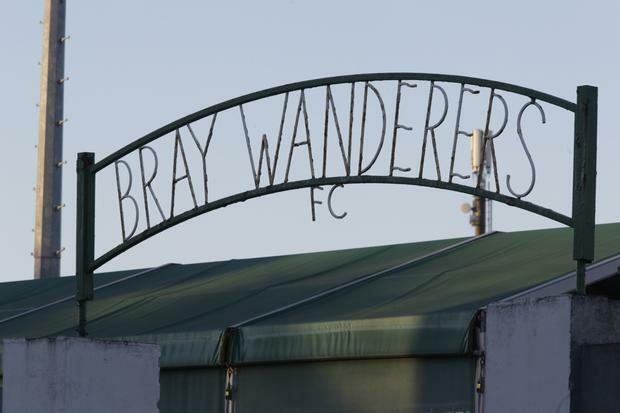 Relegation-threatened Bray Wanderers last night admitted they could not guarantee players' wages until the end of the 2018 season. Already nine points adrift at the bottom of the Premier Division table, the Wicklow club also conceded that they will not stand in the way of players wishing to leave the Carlisle Grounds. A statement signed by club chairman Gerry Mulvey said: "Bray Wanderers have reluctantly decided to listen to offers for any of their players. Given the club's inability to guarantee wages until the end of the season, it's only fair to give the players an opportunity to secure employment elsewhere." The statement added: "The situation could change overnight but until such time as it does we will listen to all offers and make decisions on a case-by-case basis. We wish them the best of luck in their endeavours to secure new contracts elsewhere." It is believed that the statement was released on social media before the players had officially been told by team management of the situation. Players had previously been informed before last Friday's basement battle with Limerick that there would be a delay in their wages for the month of June. They had experienced a delay in their May payment. The Wanderers squad along representative body, PFA Ireland, were due to meet Mulvey last night to discuss the club's current situation. However, it is understood that Mulvey had been in meetings yesterday trying to raise the funds. But the meeting with the players and PFA Ireland then did not take place. It is further believed the payment may now not take place until tomorrow at the earliest. Senior players like captain Gary McCabe, former skipper Conor Kenna and striker Aaron Greene would attract interest from other clubs while Rónán Coughlan and Cory Galvin could lead a player exodus. A number of other first-team players including Kevin Lynch, Paul O'Conor and Seán Heaney could seek pastures new. That could leave new manager Martin Russell with the possibility of fielding a side mainly made up of U-19 players for Sunday's home clash with Sligo Rovers. With mounting speculation that a transfer embargo may be put in place by the FAI due to Bray's financial situation, it is possible that they may now not be in a position to sign players.